Phil was wrong. Very very wrong. He was the polar opposite of correct. Did he lie? Was he paid off by some outside concern? What outside concern would benefit from fatally flawed spring predictions? How do you even pay off a groundhog. I thought that perhaps I can help a little. Take one for the team to bring spring on a little quicker. Therefore, this evening, for all of our benefit, I have sacrificed my legwarmers. As a cyclist, this is my Rite of Spring. When last year’s tan lines have faded to the point of being almost completely unnoticeable, I start thinking about pulling out the razor and smoothing up the ol’ gams. Tonight was the night. I pulled out a couple of sections of the NY Times Business section to line the bathroom floor (to keep The Bride happy), pulled out my industrial-strength Vidal Sassoon clippers and a fresh razor, and hove to. Why do we do it? There are as many answers to that question as there are cyclists, but they fall into two main camps. The first is the utility camp. We shave for aerodynamic advantage (false – surface flow characteristics are improved by an early laminar-to-turbulent flow boundary… smooth surfaces inhibit this transition at the Reynolds numbers seen by cyclists, so the hairs act like little trip strips that spur this a laminar-to-turbulent transition early. Most high tech skin suits have a textured surface for the same reason). 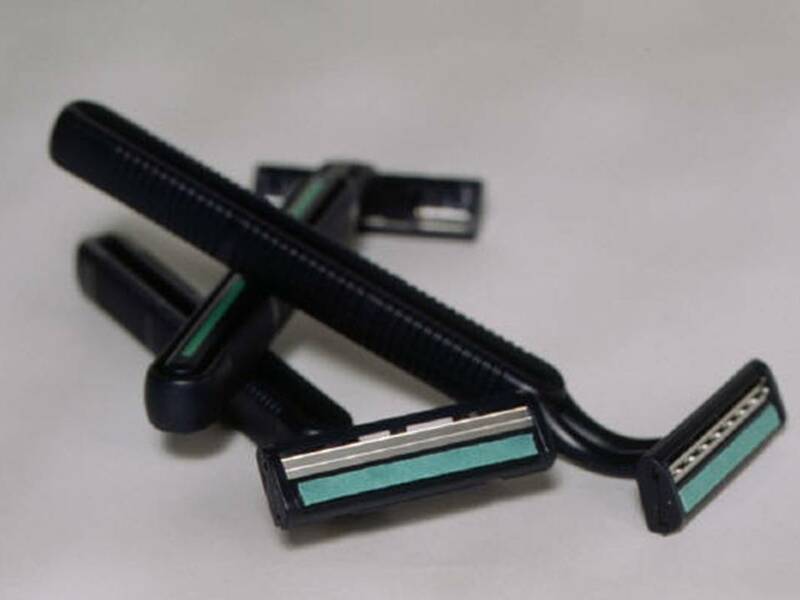 We shave to ease cleaning pieces of road out of our legs after a crash or keep hair out of wounds (both not really true) or to keep bandages from pulling hair out (true). We shave to ease application of sunscreen or embrocation (true). We shave to make massages less painful (true, but I can’t afford massages, so in my case, moot). The second camp of reasons, falling under general vanity, are probably closer to the real reasons we shave our legs. Shaved legs forged by the road into anatomical illustrations brought to life look good. Really good. We’re not going to hide our hocks under a bush basket, we’re going to bare them so the world can see the crisp lines and the gathers and ripples of finely tuned bronzed sculptures. They also draw attention away from our somewhat scrawny upper bodies. Really, though, we shave because we are cyclists. Shaved legs are part of our culture, a ritual carried from the first hints of spring until the first snows fly, making us stow our fast bikes for the winter, or at least stow our legs beneath heavier fabric. Investing some quality time on our legs evokes our mojo, the same mojo we put into our bikes when we strip the frame down and give it some wax or take infinite pains to make sure our wheels spin dead true. Each swipe of the razor confirms out intent to find joy and suffering on the road. To me, the ritual of the first weed-whack through my winter growth is the same harbinger as seeing the first robins (seen ’em) or watching the trees get fuzzy with buds (seen those, too). I’m not sure enough to remove the studded tired from The Beast (yet) but I’m superstitious enough to think that maybe, just maybe, my bared legs will bring out the spring sun and make him happy enough to turn them back to bronze. This entry was posted in The rest of the stuff, Training and tagged aerodynamics, bicycle, bicycle literature, cycling, hair, Shaving, Spring. Bookmark the permalink.